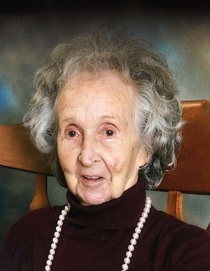 passed away on Saturday, January 26, 2019 at Keeper of the Flame Morewood, Blairsville, PA. She was born June 22, 1928 Clyde, PA, the daughter of the late Collins Mack and Grace (Lichtenfels) Mack. She was a member of the former Strangford United Methodist Church. She enjoyed being with her family. Gladys is survived by her daughter, Pam Curnow & husband, Ed, Blairsville, PA; son-in-law, William Shandick, CO; grandchildren: Lisa Luffe & husband, David, Pittsburgh, PA, Jason Curnow & wife, Megan, Blairsville, PA, Tonya Frahm & husband, John, CO and James Shandick & wife, Tracy, CO; great grandchildren: Noah, Jonah & Christian Luffe, Dane, Bentley, Madilynn & Riley Curnow, Hannah & Gracie Miller, Tyler Frahm and Connor & Janee Shandick; sister, Ruth Svilar, Indiana, PA and brother, William Mack & wife, Goldie, Clyde, PA. She was preceded in death by her husband, James E. Jones Jr. in 1992; daughter, Dianne Shandick; brother, Donald Mack and sister, Betty Lou Nerone. The family will receive friends at the James F. Ferguson Funeral Home, Inc., Blairsville, PA on Monday, January 28, 2019 from 3:00 PM to 7:00 PM. A funeral service will be held at the James F. Ferguson Funeral Home, Inc. on Tuesday, January 29, 2019 at 11:00 AM. Pastor Dan Cunkelman will officiate. Interment will be in the Blairsville Cemetery, Blairsville, Pennsylvania. The family would like to thank the staff of Keeper of the Flame for the compassionate care given to Gladys during her stay there.